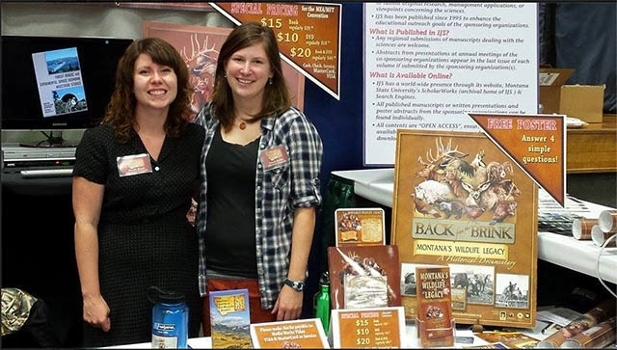 The student chapter of The Wildlife Society at the University of Montana is a scientific and educational organization which seeks to promote responsible stewardship of wildlife resources, prevent environmental degradation, and increase awareness and appreciation of wildlife values. 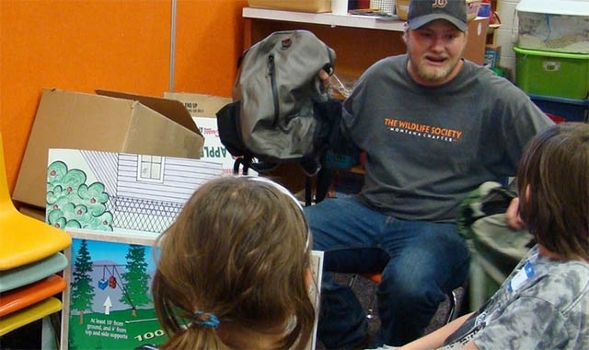 The Wildlife Society's education outreach program achieves these goals by providing free presentations and workshops to schools and organizations throughout Missoula. If you are interested in hosting a presentation, our members have a broad range of passions and experiences. 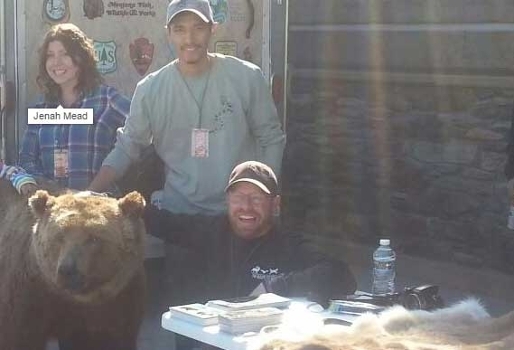 We can create an individual program that complements your curriculum, assist with an ongoing project, or you can choose from several existing presentations, including “Be Bear Aware,” a national campaign dedicated to promoting safe and responsible stewardship of wildlife treasures, especially bears, in order to reduce the growing number of human/wildlife confrontations. We also have slides, full pelts, skulls, antlers, and paw prints available as teaching aids. Wildlife student showing local school kids how to unpack camping gear in bear country. Club members helping the state chapter of The Wildlife Society staff an informational event at the Montana Educators Conference. Club members at a Be Bear Aware outreach event.